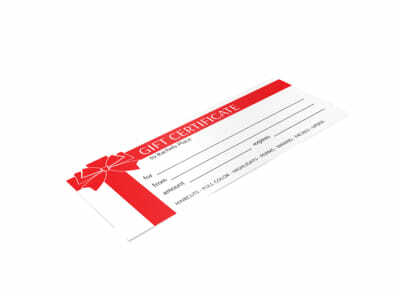 Grow your brand while growing sales of your products and services with gift certificates you customize yourself. 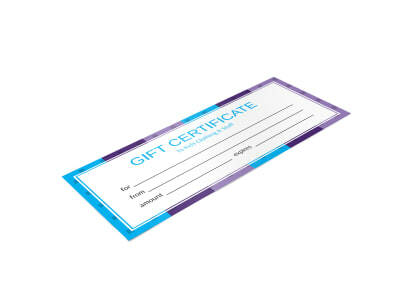 Our business gift certificate templates are fun and easy to use, allowing you to create professional-looking certificates with a few keyboard strokes and mouse clicks. 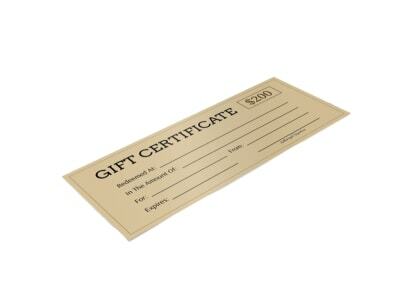 Gift certificates are hot sellers year round, so be prepared and stock up on a supply of certificates that can be handed out at any time. Our online editor lets you easily add the customizations that make your design unique and presentable as gifts to patrons’ friends, family, or business acquaintances. Add text, graphics, images, and more to fine-tune your design and raise brand recognition. 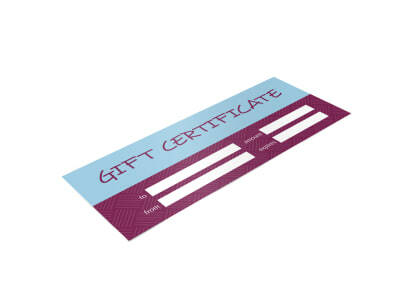 We can print your certificates for you once you’ve zeroed in on a design, or you can do it yourself from any location.